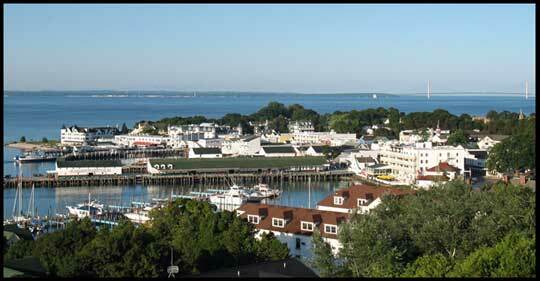 Planning a day trip, a weekend or a full summer Mackinac Island Michigan vacation? Let us help you with our fact-filled Insider Tips. We have enjoyed working, living and vacationing on Mackinac Island with our families for the past forty plus years. There are wonderful Insider Secrets that we want to share with you so that you, too, can experience a magical vacation in Northern Michigan. We know the best Lodgings from the small Bed and Breakfasts to the magnificent 5-Star Grand Hotel. The Grand Hotel is a full service resort that offers an abundance of amenities. We will divulge tips to help you experience as much as your time permits. There are also many great budget-minded Hotels in Mackinaw City and St. Ignace - both just a ferry ride away. Do you want to know the best Restaurants where the insiders eat? Do you want to make a reservation for a romantic dinner to celebrate an anniversary or birthday or do you just want the best spot to feed a hungry family! Perhaps you would like to know about takeouts or where to buy some wine, cheese and bread for a perfect picnic lunch on your special vacation. This Michigan treasure provides a small-town flavor and yet offers all the amenities of larger vacation spots. There is something for everyone including arts and culture, casual restaurants and fine dining, a great Lilac Festival, the Festival of the Horse, Island shopping, historic sites, carriage tours, golf, hiking, boating, biking and horseback riding. 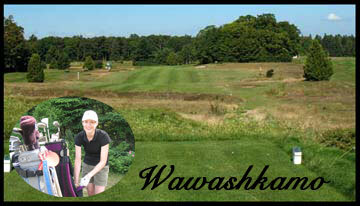 This Northern Michigan vacation spot is a fabulous choice for a romantic destination wedding! And, it is a great place for an unforgettable honeymoon, too! Mackinac Island is unique in that there are no automobiles allowed. Transportation is by walking, bicycling, or riding in carriages or on horseback. Taxis are horse-drawn carriages and all commercial transportation is by horse-drawn drays or wagons. Only emergency vehicles are motorized. The Island is a must for golf enthusiasts – either walk, rent a bike or take a horse-drawn taxi to get there. So, welcome to our Insider Tips website – we will be working diligently to bring you all the latest information on everything you need to know for a fabulous vacation including hotels, restaurants, bed and breakfasts, shops, activities, events, and the Grand Hotel. Contact us if you have any questions and be sure to check back often to see our updates!